Your Dog's New Favorite Chew. Ear Candy come from free range Brazilian cattle (Heyyy, Sao Paulo!) that are grass fed and raised without the use of antibiotics or added hormones. When we say they're addictive, we promise we're not exaggerating. Dogs love Ear Candy like moms love clean houses. Like toddlers love licking things. Like Humans love tacos. 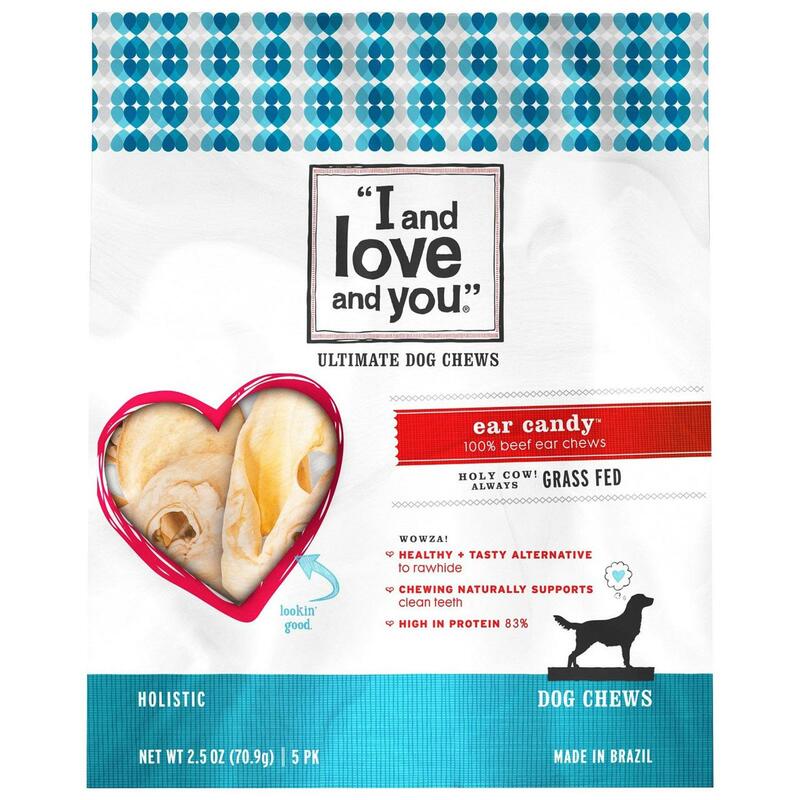 They're great for treats, as an everyday snack, or whenever you need your dog to do something other than drool on your couch for twenty minutes at a clip. Don't worry, we did the math for you. We're committed to helping give pets the very best. Our products meet rigorous ingredient standards and have been approved by our holistic veterinarian. Pretty soon you're going to want to make us part of your family, too. Total Pet Care. Fur Real. We make healthy raw + grain free foods, yummy treats + chews. Everything a well-rounded pet needs. Minus a tummy rub. Никаких наполнителей или побочных продуктов. Никакие искусственные консерванты, ароматизаторы или красители, химикаты или отбеливающая обработка. Нет добавленных гормонов или антибиотиков. Никакой кукурузной пшеницы, сои, риса или клейковины. For the safety of your pets, observation is recommended when giving your dog chews.